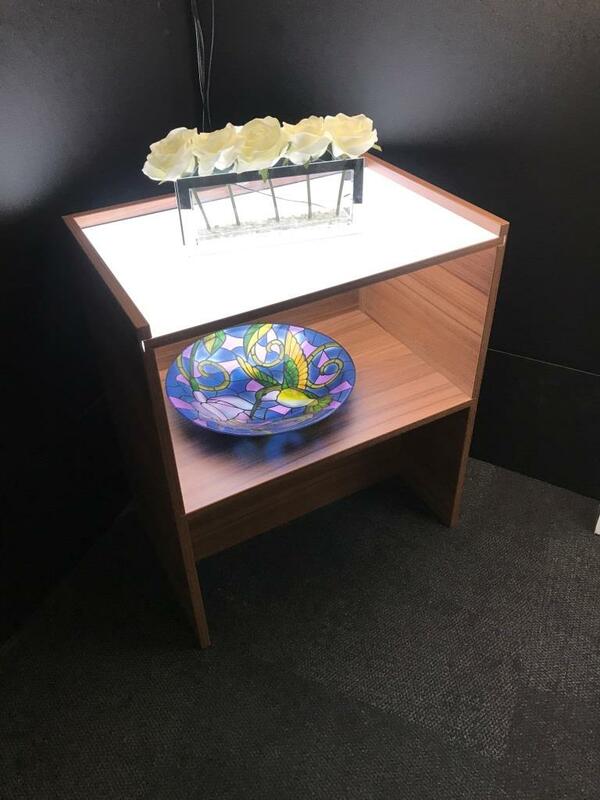 A totally new way to integrate illumination into a piece of bespoke furniture. Pixalux has just create a simple cabient which could have been made of any type of wood or MDF. In this case the top panel has been finished by using double sided illuminated Pixalux with a colour temperature of 4000k. The 16mm thick structureal Pixalux panel has the LEDs hidden in a 16mm thick profile at the back of the shelf. The overall effect is stunning and units like this could be used in domestic and commercial environments where you want to have non directional light. The light from the shelf is ideal for illuminating plants and oranaments the light completely transforms the appearance of the object. Pixalux is a totally bespoke product and be used inconjunction with all types of joinery. Visit www.pixalux.co.uk or email: info@pixalux.co.uk.